Fat or slender, all men and women are prone to pockets of fat that won’t budge with any amount of diet or exercise. 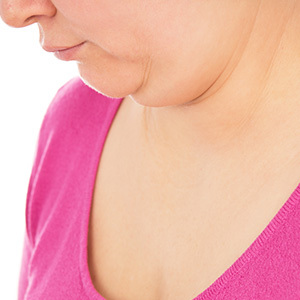 These areas of localized adiposity or contained accumulations of diet and exercise-resistant fat, show the first signs of weight gain, and are also the last parts to be slimmed down after Weight Loss. Liposuction Surgery has been one of the most popular, ground-breaking and top performed cosmetic procedures for years now. It has become a panacea for patients who are close to their ideal body weight and are looking to get rid of resistant fat deposits with the purpose of sculpting the body into a beautifully proportionate shape. It safely, effectively, and permanently reduces fat and refines the body contour. Tummy, Love Handles, Hips, Outer Thighs, Inner Thighs, Back Arms, Male/Female Breast, Double Chin, Knee Calves, Buffalo Hump. The liposuction procedure is generally performed using tiny access sites. Small liposuction cannulas (thin, hollow tubes with small openings at the tip) are passed through these access sites, removing excess fat preferentially from the deeper fatty planes. The resultant incisions are usually so small they heal themselves, frequently, without the use of sutures, and with minimal scarring, if at all. At Allure MedSpa, Dr. Milan Doshi favors using the thinnest liposuction cannulas, which require smaller access sites and remove fat more evenly. Every region is treated as an "aesthetic unit"; for example, when knees, inner thighs, and outer thighs are treated with liposuction for localized adiposity, the entire thigh "unit" is treated to achieve the most balanced and natural results. The liposuction procedure duration varies depending on your unique requirements, and may range from just 30 minutes to maximum 2 hours. 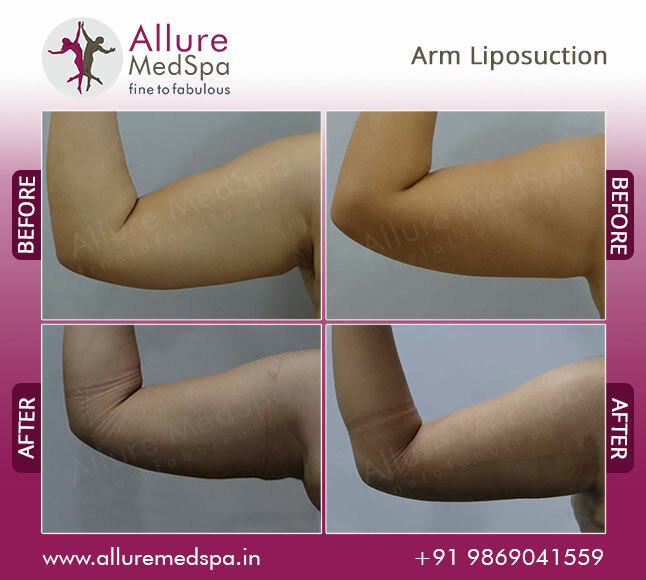 Alluremedspa which is renowned for its state-of-the-art internationally acclaimed services, offers affordable and cost effective liposuction in Mumbai location. To know more about the Liposuction Surgery Cost of request a consult by simply filling and submit the Book an appointment form. Your consultation is your chance to ask questions about Liposuction surgery cost in Mumbai and put your mind at rest. Your surgeon will be able to offer you full explanations and answers to all of your queries. View More For Liposuction Cost. View More For Liposuction Testimonials. Are you the right fit for the Liposuction procedure? In addition to that basis an assessment of the elasticity of your skin, your surgeon will be able to estimate the amount of fat to be removed for the best results. Understanding your unique physical requirements and your particular goals, Dr. Milan Doshi will devise a treatment plan, and will advise you regarding the best liposuction approach. Our dedicated post-surgical section is designed with your comfort and care in mind. Our entire staff from the expert team of anesthesiologists to nurses, will ensure you are treated with utmost care and warmth. At AMS, we take a special pride in our excellent levels of post-operative support and aftercare. To monitor your progress, we will invite you back to Allure MedSpa at prescribed intervals for follow-up examinations with your surgeon or our nursing staff. After your fat removal procedure, you will need to wear a support garment for between four and six weeks. Our comprehensive aftercare program focuses on your unique, individual needs. A nurse, dietitian and fitness advisor work with you to provide all the help, support and expert advice and aftercare plan specific to you. In addition to a complete medical history, your physician and anesthetist will perform a complete physical examination to ensure you're in good health before undergoing the procedure. You will undergo blood tests or other diagnostic tests. In preparation for your Liposuction at Allure MedSpa, the most important factor is reaching a sustainable weight-loss and fitness plateau. The best liposuction results are achieved when there is only localized adiposity, or isolated fat deposits, it is important that you make every effort to optimize health and fitness with diet and exercise before your surgery. This will maximize the safety, aesthetics, and longevity of your results. Allure MedSpa’s clientele comprises of local, out-of-town patients. A good percentage of patients also ‘fly-in’ from out of the country to have surgery with our renowned surgeons. We are pleased to offer and arrange comfortable lodging, restaurant, and commuting to ensure a memorable pre-and post-surgical experience for our out-of-country patients. Please feel free to contact the Counsellor at +91 9869041559 for assistance with any of your travel and planning needs. The healing process is gradual, so you should expect to wait a while before fully enjoying the results of your liposuction procedure. At Allure MedSpa, our support doesn’t end when you achieve your fat-loss goals. Lifelong follow-up with our multidisciplinary team is encouraged, helping you to achieve and maintain optimal results. 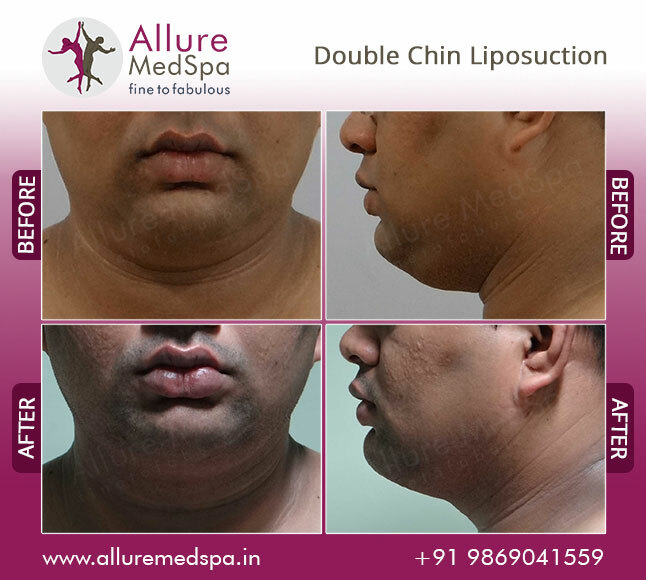 For more information on fat-loss surgery and our extensive aftercare program or to schedule an appointment, call Allure MedSpa at: +91 98690 41559. Are there any risks with liposuction? 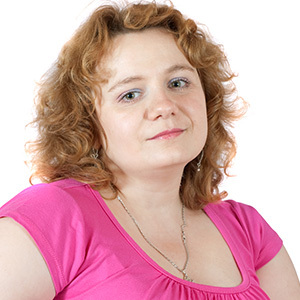 Fortunately, significant complications from Liposuction are infrequent. Every year many people undergo successful Liposuction, experience no problems and are delighted with the results. Anyone considering surgery, however, should be aware of both the benefits and the risks. Your surgeon will discuss these with you during your consultation. You may be able to return to work in just a few days. Many patients are able to resume most of their normal activities within one or two weeks and begin some form of exercise soon after. 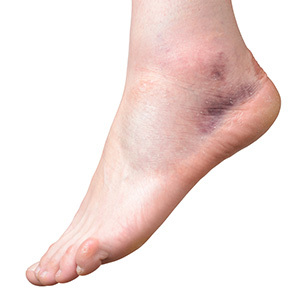 The timing of your recovery depends largely on the extent of your treatment and the procedure opted for. During the two days immediately after liposuction, the amount of pain experienced depends on the type of anesthesia used for liposuction. Soreness is usually the most intense 2 to 4 days after liposuction and then decreases steadily. 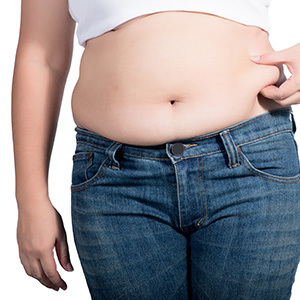 A tummy tuck (abdominoplasty) is a major surgical procedure requiring general anesthesia, and involves liposuction and excision to remove fat. 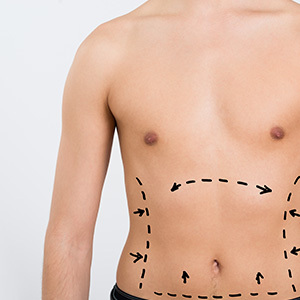 In many patients (but not all) liposuction of the abdomen can often provide equivalent or better results than a tummy tuck. Will Liposuction procedure Get Rid Of Cellulite? Liposuction is not completely effective for cellulite removal, though it can diminish the appearance of cellulite. Liposuction can minimize the appearance of cellulite through fat removal, but cannot be expected to eliminate cellulite entirely. What aftercare can I expect after liposuction surgery? 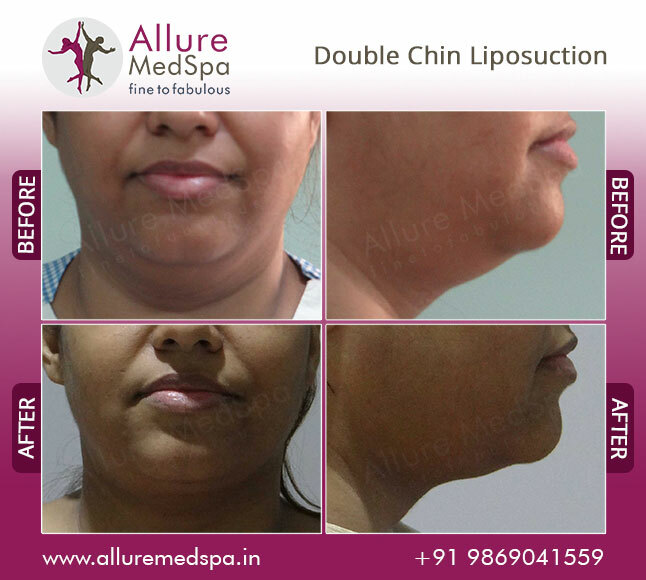 At liposuction india Clinic, Allure medspa we take a special pride in our excellent levels of post-operative support and aftercare. To monitor your progress, we will invite you back to Allure medspa prescribed intervals for follow-up examinations with your surgeon or our nursing staff. When Can I Go Back To Work after liposuction surgery? I Am Not From Mumbai, When I Can Able Fly Back Or Travel for liposuction surgery? In normal condition you should be able to fly or long distance travel in less than 48 hr post liposuction procedure. Liposuction surgery doesn’t require any follow up visit. 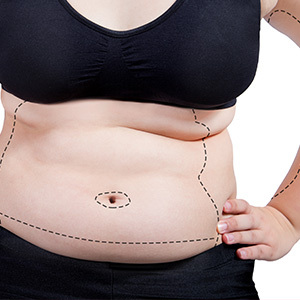 For an estimate on how much liposuction in Mumbai cost, we recommend that you call us on +91 9869041559 Or Fill inquiry form so that we can contact you for the detailed discussion. In liposuction Doctor is going just below your skin, not inside body muscles. In that sense it very superficial procedure, so there will be no major pain, down time or complications. Fortunately, significant complications from Liposuction are infrequent. Every year many people undergo successful Liposuction, experience no problems and are delighted with the results. Anyone considering surgery, however, should be aware of both the benefits and the risks. 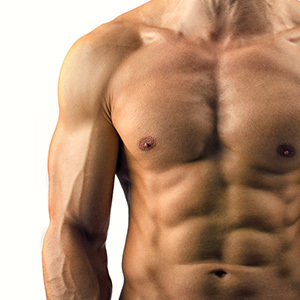 Your Liposuction surgeon will discuss these with you during your consultation.